While the topic of scofflaw cyclists normally dominates meetings with local police officers, on Tuesday night, those in attendance at the most recent gathering of the 13th Precinct Community Council told officers homelessness has them concerned. A Union Square resident noted that there have been homeless encampments in the park recently, despite him having raised the issue at the meeting last month. Executive Officer Ernesto Castro said that the precinct has been to the park to break up the encampment but the problem is recurring. “We have gone over there and taken it down but they’re just coming back,” he said. Frank Scala, at the age of 78, is a veteran in more than one sense of the word. Along with having served in the Italian Navy, the Sicily native has also worked as a barber for decades at his own shop, La Scala, and he also has a history of running for office in New York City. Being a Republican hasn’t stopped him from attempting to defeat popular Democrat incumbents. He’s challenged former Assembly Member Steven Sanders, current Assembly Member Brian Kavanagh and State Senator Brad Hoylman. And now Scala, a resident of Stuyvesant Town, has set his sights on the Manhattan borough president’s office, running against Gale Brewer. Last year, when running against Kavanagh, Scala at first said he was just doing it out of a sense of obligation to the Republican Party since no one else had stepped up. He’d begrudgingly done the same thing two years earlier to give Republicans someone from their own party to vote for, when challenging Hoylman. But Scala later changed his mind, saying he wanted to run “legit.” This time, he’s running a mostly inactive race — he isn’t fundraising and has no website. But he was still happy to do an interview to discuss the issues he thinks are a priority for the borough and the campaign. While it’s understandable that the minds of voters this coming Election Day are on the race for president, there are also a couple of local races to think about, in the case of the Stuyvesant Town/Gramercy/Kips Bay area, for Congress and for New York State Assembly. Maloney’s opponent, Robert Ardini, has argued that our nation’s founding fathers never intended for elected officials to remain in one office for as long as the incumbent has, which is 23 years. While he makes a legitimate argument about how tough it is for someone to break in to the world of politics against someone who’s so well-known, we do not believe this is the only reason Maloney has consistently clobbered her opponents over the years. It’s true, of course, that in the heavily Democratic borough of Manhattan, a Democrat is always going to have the advantage, as is the individual with more name recognition. However, an official’s experience is not something that goes unnoticed by voters and it shouldn’t be dismissed as a bad thing. Despite hitting brick walls in Washington thanks to partisan gridlock, Maloney has continued to remain responsive to the concerns of voters, both large and small. She has remained true to her platform of championing women’s rights from equal pay at work to the never-ending battle of protecting a woman’s right to choose. In her district, she pushes funding for mass transit infrastructural projects (good for commuters and good for job creation) and has remained on top of the looming L-pocalypse, a major concern of constituents. 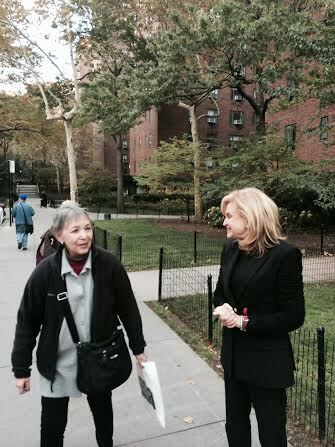 Additionally, the congresswoman, an Upper East Sider, has remained a dependable advocate for tenants. 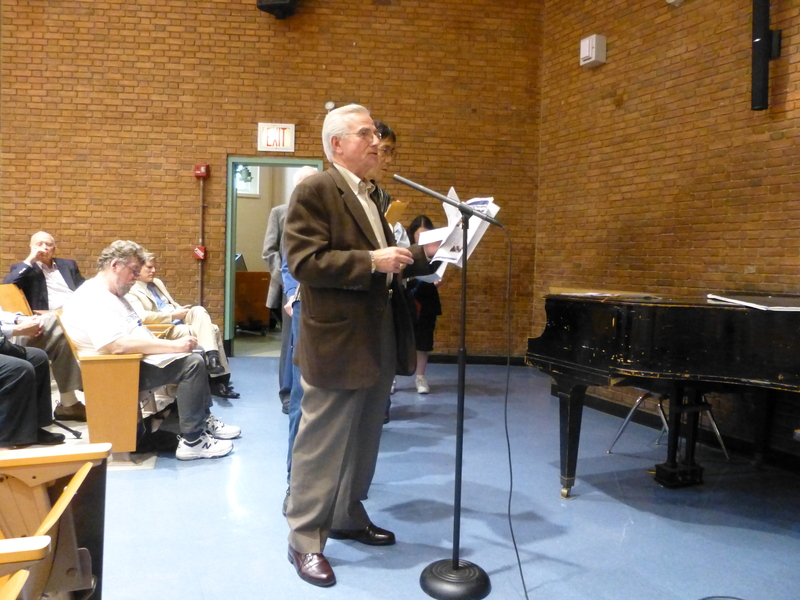 Local politicians and political hopefuls gathered at the Sutton Place Synagogue last Tuesday evening to discuss their platforms at an event for local candidates hosted by the 17th Precinct Community Council. Democratic incumbents Brian Kavanagh, who represents the 74th Assembly District, and Carolyn Maloney, the U.S. Representative for New York’s 12th congressional district, made appearances at the event, along with their Republican challengers, Stuyvesant Town resident Frank Scala and Long Island City resident Robert Ardini, respectively. Scala, who’s the president of the Vincent Albano Republican Club, is also the owner of a barber shop on Fifth Avenue. Ardini is a former marketing executive who is currently focusing full-time on the race. When it was his turn at the podium, Ardini brought up the nearly quarter-century long stronghold Maloney has in the district. Maloney, on the other hand, had a different perspective. Ardini noted that another issue he’s concerned with is the national debt and he said he felt that current politicians aren’t doing enough to address the issue but Maloney argued that Democrats have been able to deal with the deficit effectively. While addressing a question about community policing, Assembly candidate Frank Scala said he felt stop and frisk was necessary, but only in specific circumstances. Kavanagh, on the other hand, said that he thought the policy is unnecessary as well as unconstitutional, and that it didn’t have a noticeable impact in the reduction of crime throughout the city. 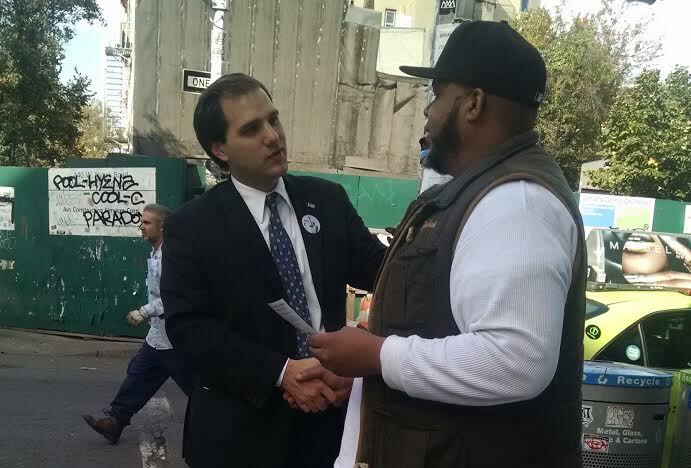 Scala, who is also president of the 13th Precinct Community Council, has had a close relationship with the NYPD and praised the work they do, specifically those at his local precinct. “Police do a good job. Some police abuse the uniform but most of the time I believe they do a good job and should continue to do whatever they’re doing,” he said. He added, however, that he felt local Democratic politicians have done less well by the community throughout the years. “When Roy Goodman was our senator, Stuy Town and Peter Cooper were best places you could live but we’ve had nothing but problems since Democrats took over,” he said, then apologizing to his opponent for the slight. While at the meeting, a Maloney supporter named Paige Judge shared that she is against term limits. National Night Out Against Crime, an annual event aimed at growing relationships between law enforcement agencies and the communities they serve, took place on Tuesday night. The event organized by the 13th Precinct and the precinct’s Community Council, went off without a hitch at the M.S. 104 Playground, despite some blustery wind and clouds that looked to be threatening rain. Fortunately, after two weeks of scorching heat and rain, many attendees from the neighborhood commented that they enjoyed the rare breeze. Families from the surrounding neighborhoods mingled with the local cops and business owners who had booths at the event while chowing down on chicken and rice from the Halal Guys, as well as burgers and dogs cooked up on the grill by officers from the precinct. “A child was bitten by a squirrel in Stuy Town.” Can you share with us where and when this happened? Was the child taken to the hospital? In that case which hospital? It is very unprofessional to report such a thing without proof. We don’t need that in the Town & Village newspaper or any other newspaper. How come this is reported as a fact by you when the spokesperson for StuyTown property Services said that no proven incidents involving squirrel bites have been reported to management? How come this is reported as a fact by you when I have been feeding squirrels with my two children in Stuyvesant for a long time and haven’t seen any “aggressive” ones? A few weeks ago we were feeding the squirrels when one security guard approached us, stating he was “advising” tenants not to feed the squirrels because a child was bitten by one. As I told this guard and a few women who have approached me: Thank you for the advice, but I will not stop feeding the squirrels because that is not a true story. On another occasion, a woman who was walking by with her daughter and grandchild while I was feeding the squirrels, stopped me and asked if I would consider stopping feeding the squirrels because they had bitten a child. When I replied that I would not consider it, she couldn’t believe it. I didn’t argue, I didn’t curse and I have never been disrespectful to my neighbors, but this is getting ridiculous. While crime was down in the 13th Precinct area for June, both overall and in most of the major areas, grand larcenies have spiked. Deputy Inspector Brendan Timoney, the commanding officer of the 13th Precinct, said this was partially due to an ongoing spate of scams. He reported on the latest stats at the last Community Council meeting at the end of June. He added that there has also been an increase in apartment scams recently, specifically of criminals posting fake listings about cheap summer rentals in the Hamptons. On June 3, 2014, Roy Goodman, the Republican New York State senator who represented part of the East Side of Manhattan, including Stuyvesant Town, for 33 years, died at the age of 84. According to his daughter Claire Pellegrini-Cloud, Goodman’s death at a hospital in Danbury, Connecticut, was most likely caused by pneumonia. He had also, for around a decade, been battling Parkinson’s and relied on a wheelchair to get around. His death came as a surprise however, since he’d been active and was just returning home to Manhattan from a trip to see one of his six grandchildren graduate from Harvard. He also attended a number of other events at Harvard, his alma mater, recently, including an awards dinner. On the way home from the graduation trip, an aide noticed that Goodman’s hands were turning blue and called 911. Goodman was admitted to Danbury Hospital on Thursday night, but wound up taking a turn for the worse over the weekend. 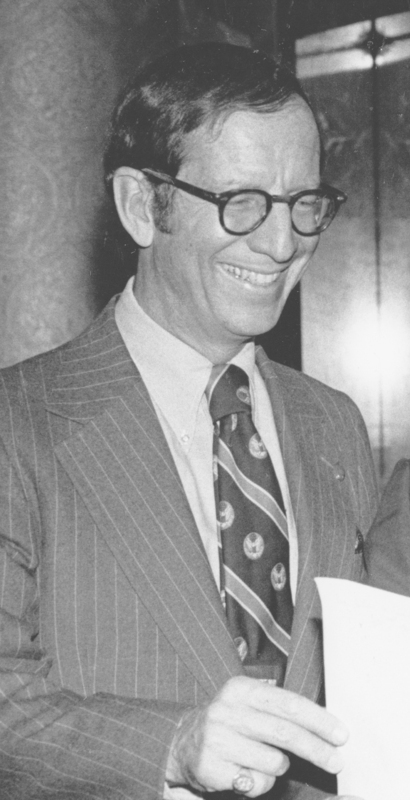 Throughout his lengthy political career, Goodman was known for his socially liberal views. He was a supporter of women’s rights, from protection against domestic violence to the right to choose, as well as of LGBT rights and services for people with HIV/AIDS when the disease was just coming into public awareness. He also fought for tenant rights and affordability and was instrumental in the prevention of Riverwalk, a towering luxury development that would have cut off ST/PCV residents’ access to the waterfront and blocked their views of the river. While tackling the city’s fiscal crisis during the 1970s, he still pushed for continued funding of the arts. He also worked on city charter revision and ran the State Senate’s committee on investigations. Though he left office over a decade ago, with his passing, former colleagues have been wistfully noting the official end to an era when Republicans and Democrats enjoyed a far less contentious — and far more productive — working relationship. Since his departure from office in 2002, when he was succeeded by Liz Krueger, there have been no Republicans elected anywhere in Manhattan. She added that this attitude extended to Goodman’s family life. When she was growing up, Goodman would make sure each of his three children, Claire, Randolph and Leslie, got equal airtime at the dinner table. When there were disagreements, “He would say, ‘Let’s not be so quick to judge that person. Let’s see it from their point of view,’” said Pellegrini-Cloud. Meanwhile, she disagreed with a detail in a recent story in the New York Times, which first reported on Goodman’s passing, that said her father was seen by some as a snob. Steven Sanders, the Assemblyman who represented the ST/PCV area for 28 years (25 of those alongside Goodman) recalled working with the senator to fight Riverwalk as well of another development farther north in Tudor City. That Harry Helmsley project would have destroyed residents’ park space. Sanders, on the morning of his wedding day, heard that a bulldozer had come to the site, and promptly headed over there to join the tenants in forming a human chain. Goodman, meanwhile, managed to secure an order from a judge to stop work despite it being a weekend. He also recalled how due to legislation sponsored by Goodman in the Senate and Sanders in the Assembly, the cost of major capital improvement rent increases (MCIs) for tenants was reduced. “Since MCIs as we know are paid in perpetuity, the cumulative savings for tenants became hundreds of dollars in each year,” Sanders said. They also worked together with the owner of Waterside Plaza, Richard Ravitch, and the Waterside Tenants Association to create an affordable housing contract for tenants at the complex when its Mitchell-Lama contract expired in 2001. 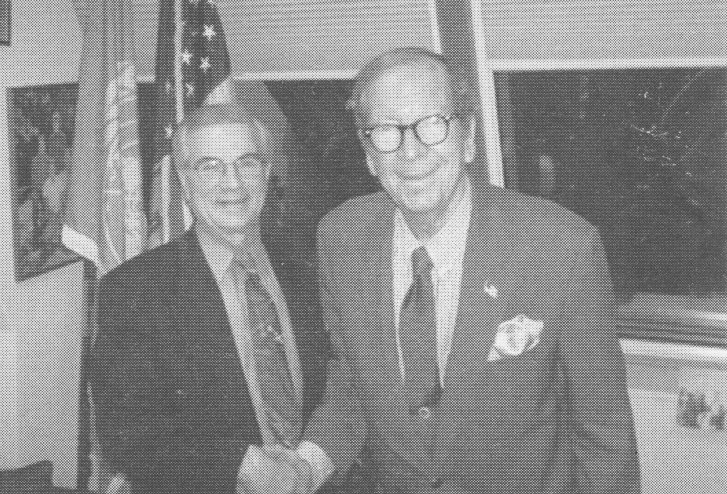 He also recalled how back in the 1980s, he and Goodman, along with then Town & Village Publisher Charles Hagedorn and Bill Potter, then the general manager of Stuyvesant Town, would meet for lunch every few months. The spot was usually Capucines, a restaurant on Second Avenue at 19th Street that recently closed. Krueger, whose first run for office was against Goodman, said she remembered her opponent’s humor when he ultimately defeated her. “His graciousness and good humor were on full display from that campaign’s beginning to its end, when, victorious after a six-week recount, he jokingly dubbed himself ‘Landslide Goodman,’” she shared in a written statement last week. According to a Times article, he had a similar attitude when he lost a mayoral race in 1977 to Ed Koch. 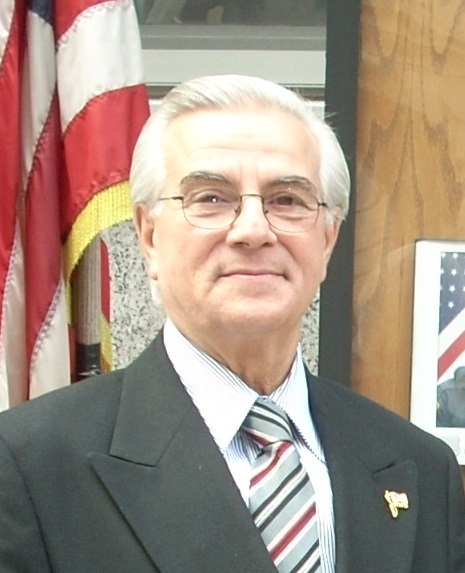 Frank Scala, the president of the Vincent Albano Republican Club, was a friend of Goodman’s and had his endorsement when he ran an unsuccessful campaign for Assembly in 2006 during a special election. This week, Scala pointed out that most people living in ST/PCV are unaware of Goodman’s involvement in the creation of Stuyvesant Cove Park a decade ago. While still in office, he’d allocated $1.2 million for its construction. “If it wasn’t for Roy Goodman the park wouldn’t have been built,” said Scala. Goodman had also encouraged Scala to revive the Albano Club after it had been inactive for years. 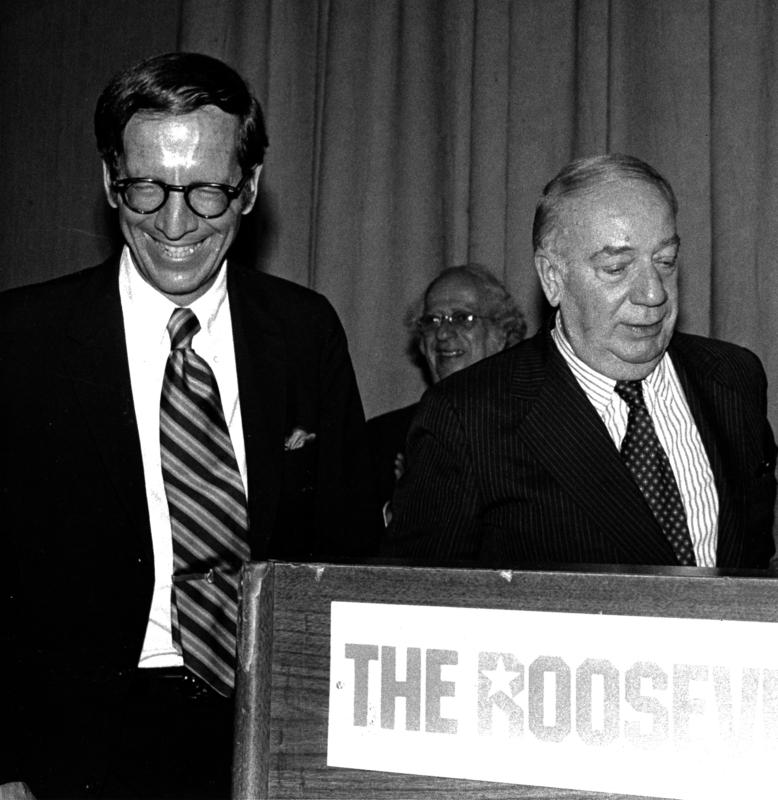 In 1981, Goodman became the Republican New York County Committee chair and remained in that position for 20 years. After leaving office, he served as CEO for the United Nations Development Corporation and was a participant in a handful of organizations supporting the arts. Up until the time of his death he lived on the Upper East Side, where he grew up, the grandson of Israel Matz, founder of Ex-Lax. In an interesting coincidence, Goodman’s death occurred within 24 hours of the time his wife of over 50 years, Barbara, died eight years ago. On both days, Pellegrini-Cloud remembered there being loud, violent thunderstorms, and only after the more recent one, she spotted a rainbow. Condolence visitation for Goodman was held on Sunday, June 15 from 6-8 p.m. at Frank E. Campbell, 1076 Madison Avenue at 81st Street. The funeral service was on Monday, June 16 at Temple Emanu-El on Fifth Avenue and 65th Street. The burial was private. During a string of burglaries a year ago in Stuyvesant Town, when someone who may have been working for the property stole jewelry from apartments, longtime resident Frank Scala’s was one of them. Only in his case, when a gold watch was stolen, it was returned. Though it’s a year later, the incident was clearly fresh in Scala’s mind when he discussed it at a Tenants Association meeting on May 10. Scala, who owns the La Scala barber shop on Fifth Avenue, is also a community activist, serving as the president of 13th Precinct Community Council and the Albano Republican Club. He brought up the burglary during a Q&A period, though the only answer he got was the stunned silence of his neighbors in the audience. According to Scala, the incident occurred on the day that work was being done on his apartment’s intercom. He hadn’t particularly wanted to let anyone in his home while he was at work, but the intercom work wasn’t optional. So naturally, Scala was shocked to discover when he came home later that day that his gold watch was missing. He’d noticed it was gone when he’d opened a drawer looking for something else. Two gold rings and another watch, this one just a knockoff of a Rolex design, were also missing. Scala, who’s now 75, called Public Safety and the police. Then, said Scala, a week after the incident, he returned home from work to find the watch, inside a plastic grocery store bag that was hanging off his doorknob. He said he wasn’t completely surprised about this as the watch, while valuable with platinum and diamond accents, had his name engraved inside. “You can’t sell it because it’s unique,” he told Town & Village. The rings, he added, were never returned. This week, a detective at the 13th Precinct said the case is closed since the watch was found. A spokesperson for CWCapital declined to comment. Last May, four burglaries were reported, each one at buildings in Stuyvesant Town where repairs were being made on the intercoms. Scala’s is one of them. The burglar or burglars, who never left any sign of forced entry, took thousands of dollars worth of expensive gold jewelry in each apartment hit. The pattern stopped, however, after a master key was taken away from the contractors doing the work.